Kirkus Review marked the book’s ending as ” Undeniably Memorable ”. Evans Priligkos was born in Ilioupoli Athens, Greece. He studied Business Administration in Techical Insitute of Crete, but his true love was writing. He wrote his first story at the age of 12. 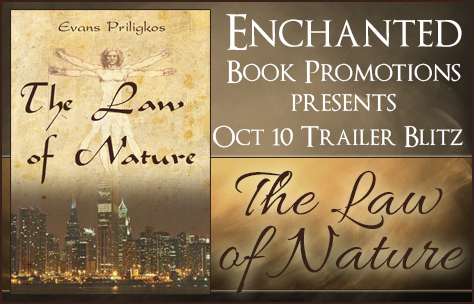 His debut novel The Law of Nature took eight years to complete.